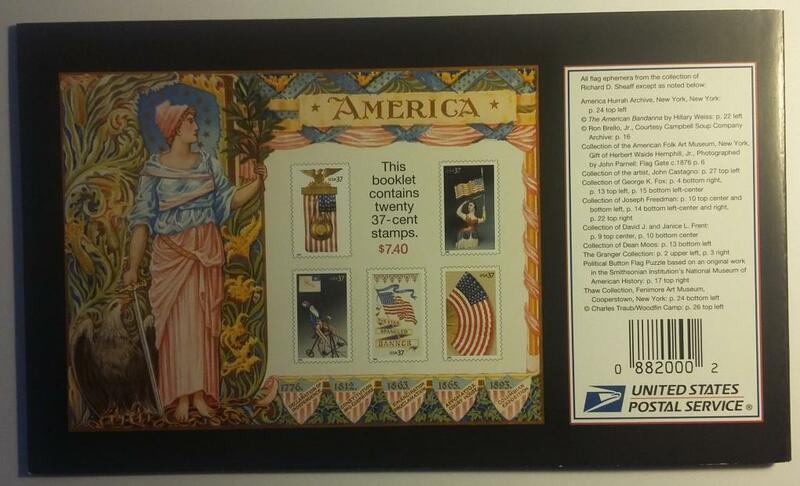 This Booklet of Lithographed stamps was issued April 3, 2003. 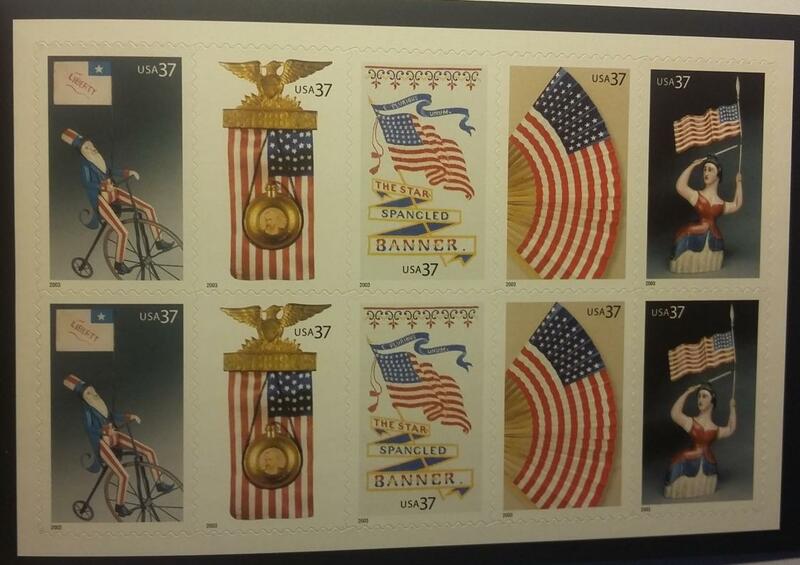 There are five different stamps in the booklet. Two sheets (shown below) of 10 stamps each. They are: Uncle Sam on a bicycle with a 20th Century Liberty Flag, An 1888 Presidential Campaigh Badge, An 1893 Silk Bookmark, A Modern Hand Fan and a Carving of Woman with Flag and Sword, 19th Century. This is the cover of the Booklet. This is a photo of one of the two panes of stamps. Both panes are identical. This is the back cover of the booklet. 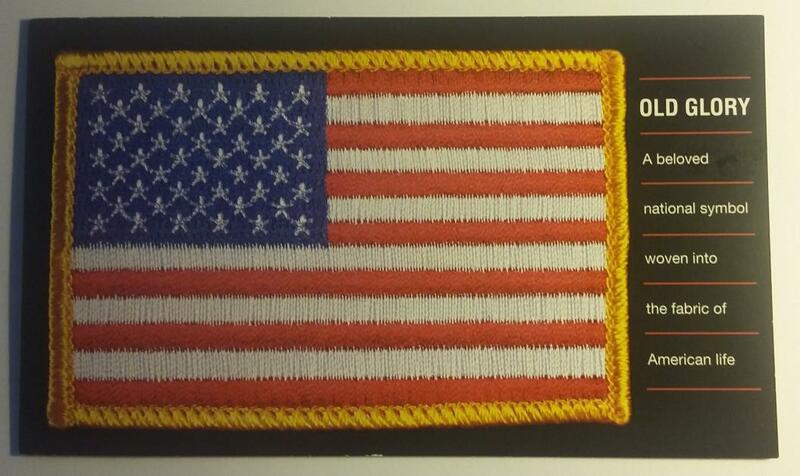 We only have this one "Old Glory" booklet. Our asking price is $9.75 as it's no longer available in quantity. Click the Buy Now button below to make it yours. © Copyright 2005 - 2016 A product of Perkins eEnterprises. All Rights Reserved.